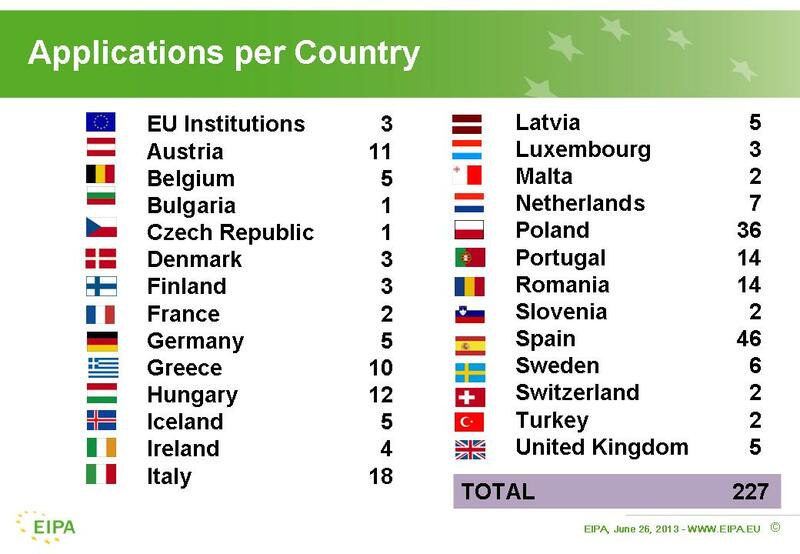 After the closure of the call for applications on 24 April, the EPSA Team at EIPA is pleased to announce yet another successful edition with 230 projects received from 26 European countries and EU institutions under the overarching theme "Weathering the Storm: Creative Solutions in a Time of Crisis". Together with the cases submitted to the EPSA 2009 and 2011 editions, this represents over 800 cases that will be available in the EPSA eKnowledge Platform to be released by the end of the year. 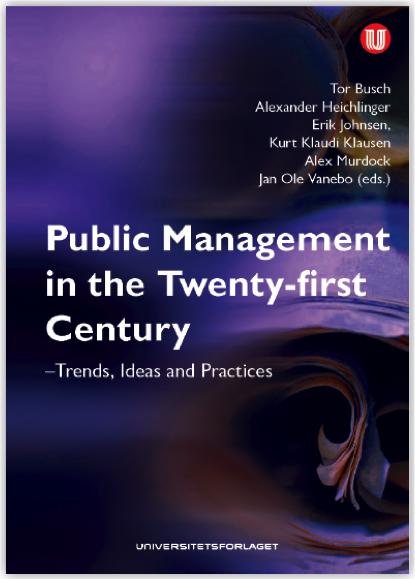 As a novelty of this 2013 edition, public administrations could submit their projects under three different administrative categories (European/National, Regional and Supra-local and Local). 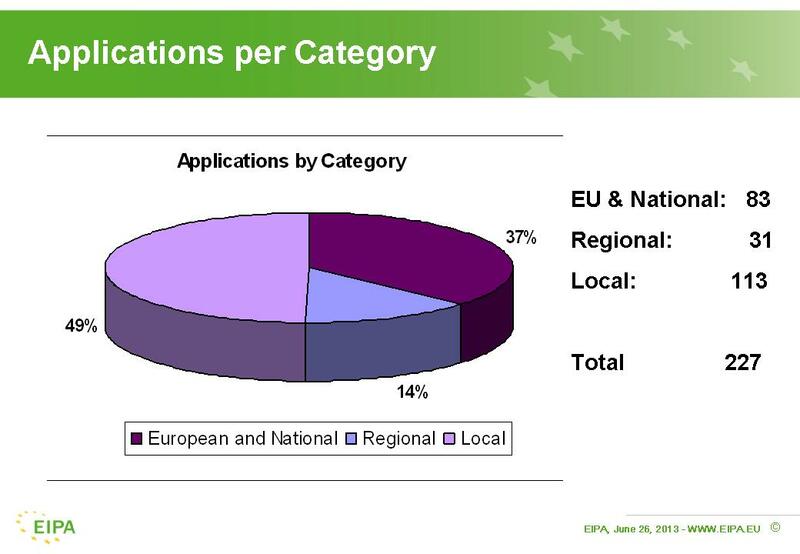 Nearly half of all entries were in the category Supra-local and Local, followed by European/National and Regional. The top submitters were Spain, Poland, Italy, Portugal and Romania respectively. 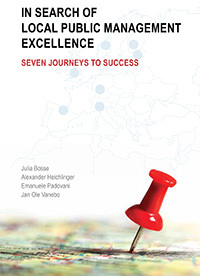 The prize winners and nominees will be presented during a three-day high-level final event and award ceremony in Maastricht (NL) from 25 until 27 November 2013 and all submitters are most welcome to attend this event.